Everything mini is adorable. Nuff said. 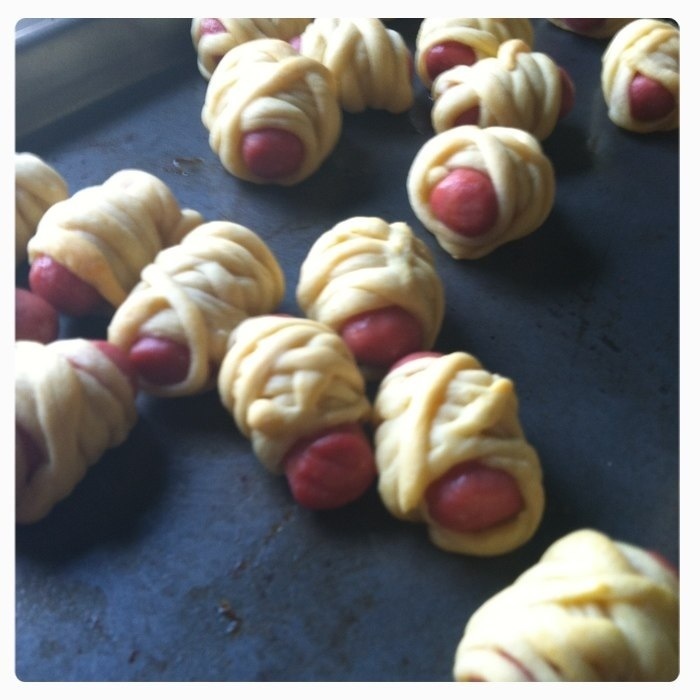 For the party we made some mini mummy hotdogs. So cute wrapped up. You can also call these mummy fingers, I guess. Whichever works for you. Preheat the oven to 350. Then I took a bag of mini hotdogs and put them on a plate to get rid if some of the juice they were packed in. 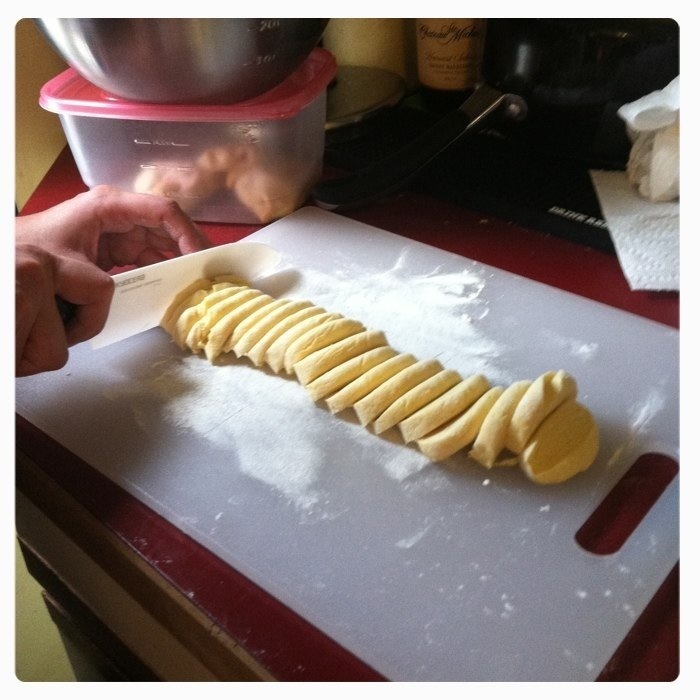 Take a container of croissants and cut the tube into rings. We unrolled the ring and then pulled them to make the strings thinner. Then off to wrapping those puppies up. Don’t worry about being perfect. That’s not the goal. 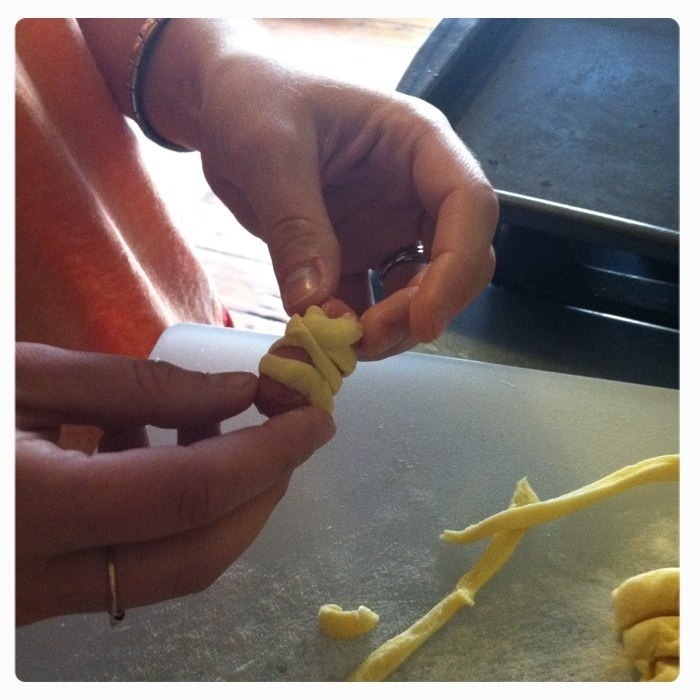 Then bake for 12 to 15 minutes or until they are golden brown. Serve up with blood… er… ketchup and you’re all set!